Trains provide a vital service to the American economy. They move large quantities of freight great distances and they do reliably. Many Americans retain a tremendous passion for trains. However, our personal injury lawyers have seen the other side of trains – the dangerous side. 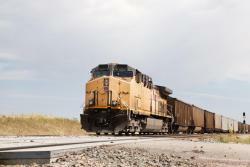 When not properly and safely operated, a train can represent a serious threat to innocent drivers. Obviously, train acccidents are devastating incidents. The best case scenario for being caught in a train accident is a catastrophic personal injury. The worst case, and this is tragically common, is an avoidable loss of life. If you need an experienced train accident lawyer in Los Angeles County or any other southern California community, please call Kirtland & Packard, LLP today at 310-536-1000 for a free consultation. Railway companies invariably blame drivers and civilians for accidents. You'll often hear sarcastic comments about the ease of avoiding collisions with trains- after all, trains follow a set route, tracks are blocked off by flashing lights and barricades and so on. As you might expect, the reality is quite different. This reductive and insulting approach quite intentionally obscures the truth of train accidents, which is that they were often avoidable if the railway company had done just a few simple things differently. As you can see, there's a lot that can go wrong and cause a train accident. And none of those issues are the fault of the victims. Our train accident lawyers understand this. We know how incredibly complicated these accidents can be, and we're not intimidated by that complexity. Instead, we will work with you to pursue the compensation you deserve from the responsible parties. If you were hurt in a train accident in or near Redondo Beach, Torrance, or South Bay and need an experienced lawyer, please call Kirtland & Packard, LLP today at 310-536-1000 for a free consultation.